First established as a National Park in 1872, Yellowstone remains America's best-known National Park for its geothermal features, array of wildlife and stunning scenery. It covers three states--Wyoming, Idaho, and Montana--however, most of the park lies in Wyoming. The best known parts of the park are the Old Faithful Geyser and the Grand Canyon of the Yellowstone. The largest volcanic system in North America lies in Yellowstone National Park. With constantly erupting geysers, bubbling hot springs, and a "supervolcano" system historically erupting every 600,000 years or so, Yellowstone is a huge attraction drawing nearly 3 million visitors per year. Yellowstone National Park is under great scrutiny from geologists for its geothermal activity. Most of the park is actually a giant caldera, or volcano hole, with a giant magma chamber 4 miles beneath the park's surface. This magma chamber is what powers the parks geysers, pools, and of course, Old Faithful. The giant caldera is referred to as a "supervolcano" because of its catastrophic history. Scientists have confirmed that there is no reason to believe there is an eruption in the near future, nor that we are "overdue." Old Faithful...you've heard of it many times, and probably have seen it on TV. Old Faithful is just one of hundreds of geysers in Yellowstone. It erupts every 74 minutes at a height between 100-180 feet for up to 5 minutes straight. The water temperature has been measured at 204 degrees, while the steam is a scorching 350 degrees! You'll notice in the picture above the azure blue color of the pools. This is created from black bacteria dying off when the pool heats up from thermal activity. Volcanoes are some of the most terrifying and magnificent wonders of our restless planet. Scientists have learned a great deal about volcanoes in the last century or so, but when a volcano stirs, all we can do is get out of the way. 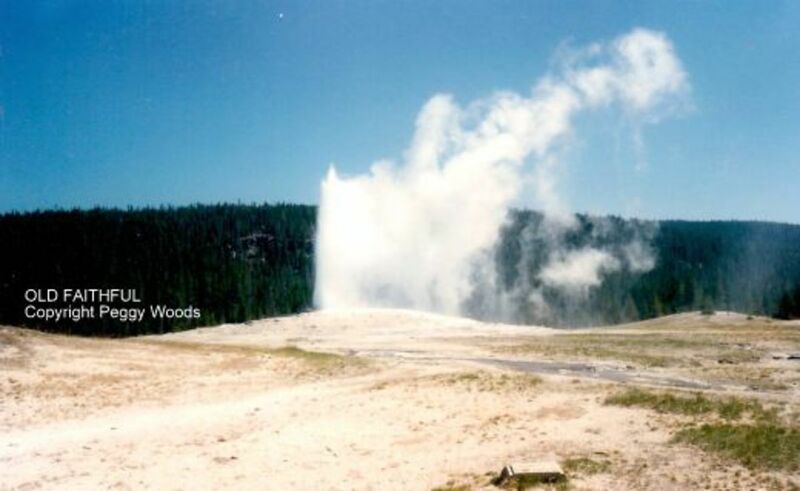 See live pictures of Yellowstone's Old Faithful. Take a tour of Yellowstone's famed canyon with pictures, maps and links. Find out the forecast, snow depth and average temperatures for Yellowstone. Be sure to check out Wallpaper by Design for more images of Yellowstone! The best places to stay in the Yellowstone vicinity, in and outside of the park. Not as well known as the Grand Canyon in Arizona is the Grand Canyon of the Yellowstone. However, this waterfall canyon may be just as visually impressive with its half mile width and 900 foot drop. 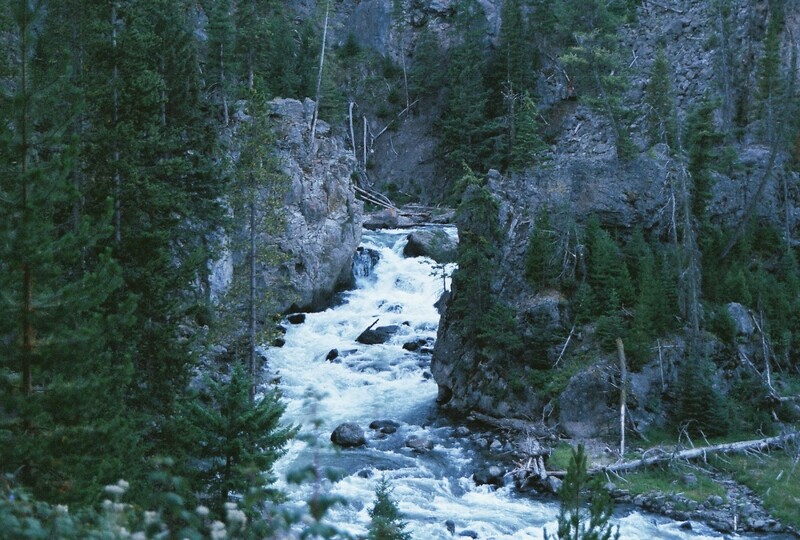 The Yellowstone River cascades through the canyon eroding away and carving into the rock. Yellowstone offers an extensive array of animal wildlife, including the reintroduced gray wolf, the american bison, lynx, and foliage particular only to Yellowstone. It's one of the few places where it isn't hard to spot wildlife. The brown bear (known as the grizzly in the Lower 48 states) is a large predator distinguished from black bears by a distinctive hump on the shoulders, a dished profile to the face, and long claws about the length of a human finger. A lens all about moose, featuring moose merchandise and more. Nearby to Yellowstone and included in the Greater Yellowstone area is the Grand Tetons National Park. 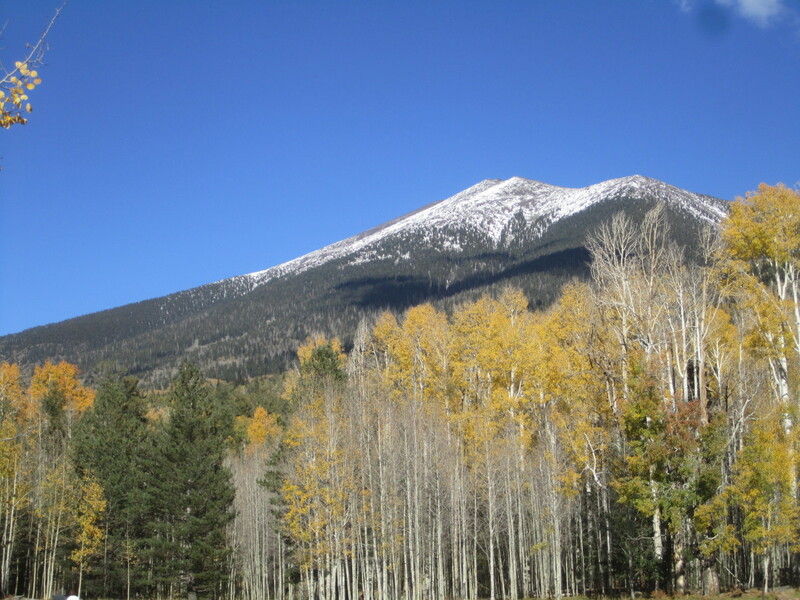 Its high peaks contrast with the comparatively low-lying valleys, lakes and meadows below offer some of the best photography, hiking, and camping of any of the National Parks. What makes the Grand Tetons unique are its lack of foothills leading up to the glacier-topped mountains. Find hikes, driving trails, bird watching spots, and day trips in the Grand Tetons area on this National Geographic page. Get a view of the park live via this WebCam. Do you plan on visiting Yellowstone National Park? The area surrounding and leading into Yellowstone National Park remains a spectacle as well. Covering 14 million acres, there are many more lakes, streams, rivers and mountains to be discovered. The closest major town you'll find to the Yellowstone region is Jackson, or Jackson Hole as it's commonly referred to. 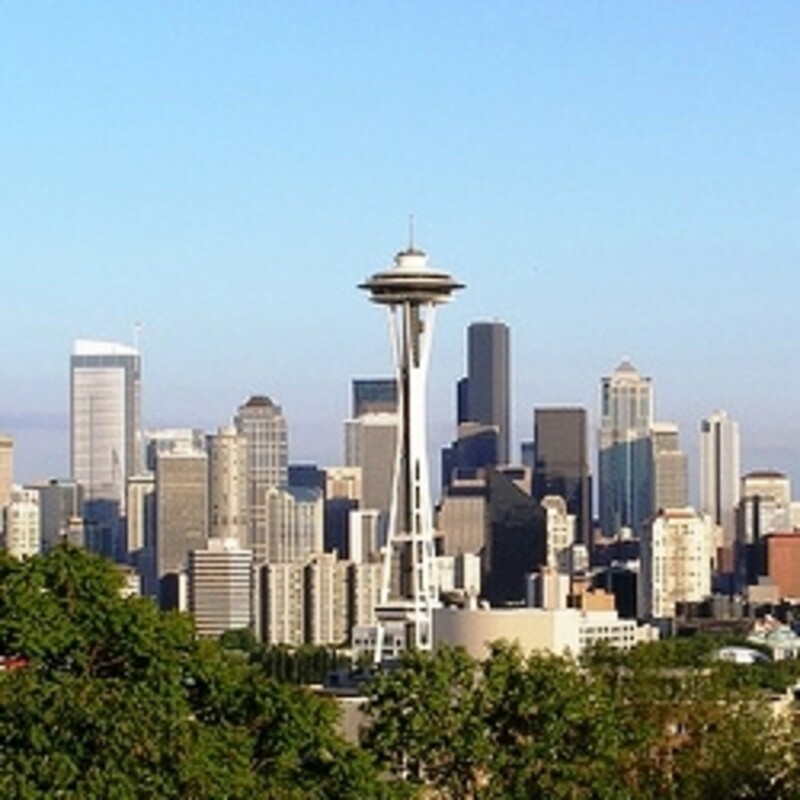 Expect to see temperatures around 79 degrees during peak summer in July and August. With lows around 42 even in summer, you'll need to pack warm clothes with you for this trip. Winter temperatures rarely crack above freezing, and often dip down to single digits at night. Yellowstone is a very large area. Large enough that you could miss some of the hidden gems located in the park! It's so large that bison hid out here in the 1800's (unintentionally?) to avoid being totally decemated as a species and managed to be virtually undetected. An area this large needs a good guide book! Read up on Yellowstone with this top rated guides on Amazon. All have excellent reviews. This is very different, morbid take on Yellowstone. The author airs on the side of caution, telling the tales of the unfortunate people that have perished in Yellowstone National Park. Some 250 people have died from incidents natural and man made...some could have been prevented, some not. There are many perils in the parks that you may not know about! From landslides, avalanches, hot geyser blasts, car accidents, bison goaring (! ), bear attacks and plane crashes, anything can happen here. Exploring Yellowstone National Park - Pictures of Unusual Beauty in Wyoming! The Yellowstone Guestbook - Been to Yellowstone? Have a story? Tell us about it! Yellowstone is one of the most beautiful sports on the planet. You've never seen wildlife until you have been to Yellowstone. Lovely pics you have here, thanks. @Alexander_Bedrik: Yellowstone is many things to many people. For some it is completely restful, for others they can't stay still and want to hike until they drop. Yet others wouldn't think a trip to the park would be complete without a fishing trip. And, yet others think that viewing and photographing the wildlife is as good as it gets. And, you know what's funny? They are all correct. I hope you get a chance to see this incredible part of our world. @ChrisKelleyUSA: Yellowstone National Park is truly one of life's best destinations. I hope you do get the opportunity to see and explore it. If you need any help whatsoever with regards to planning a trip, don't hesitate to ask. We will be returning in mid June this year but love the park in any season. Good Luck! must be one of the most beautiful places in the world! Hey, Great lens! I was raised near Yellowstone and have visited more than 100 times in my lifetime. I love the wildlife, the hiking, and especially the bears. 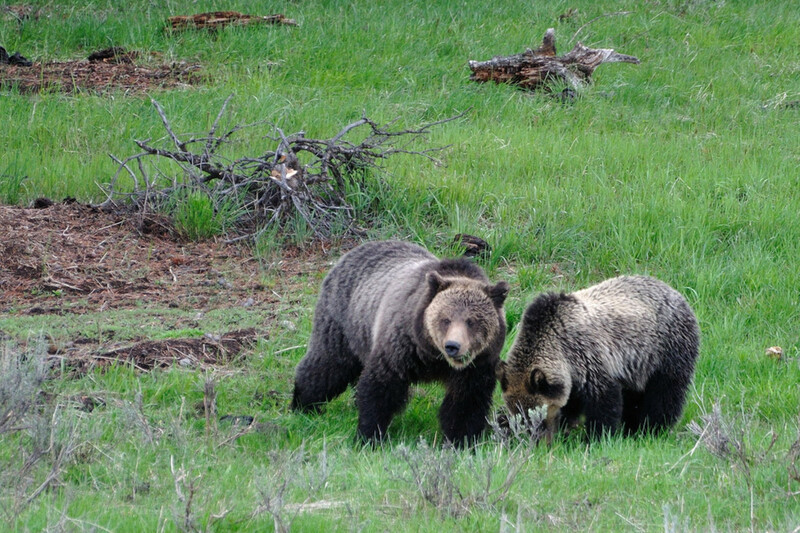 Please visit my lens "Bears In Yellowstone". I can teach you exactly how to locate, view and even photograph both grizzly bear and black bears throughout the park. Once again, great lens!! This past summer several friends in my scout troop and I hiked through there for 2 weeks and it was the best trip of my lives. ANIMALS EVERYWHERE. We saw about 2 dozen bears throughout the trip. It was almost like being in Jurassic park because at times we felt like we were no longer at the top of the food chain. We'll be riding our trike across the country in August. Planning to go through Yellowstone and down through the Grand Tetons. This is a great lens for planning the trip. It is hard to believe that Yellowstone park actually has remote areas that few humans have ever seen. Heaven on earth! We haven't been to Yellowstone since the year after the big fire but we're looking forward to going again in 2011. It is crazy to consider how much I love bears, grey wolves, nature and travel, yet I have never been to Yellowstone. I really, really hope to get to go someday. Your photos are beautiful! We loved our vacation in Yellowstone (and Tetons) June 2010. 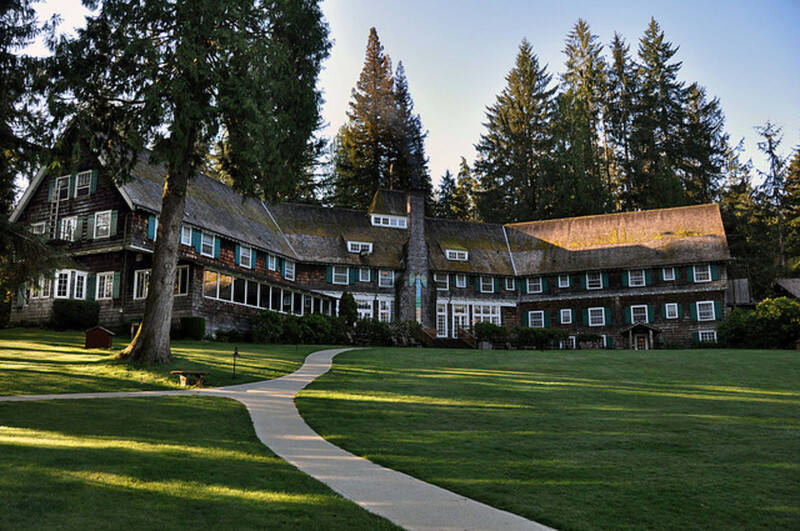 It was incredibly beautiful and restful. I was looking for information on Yellowstone, because it's one place we're considering going on vacation next year. I'm putting together a lens about the destinations we're considering (so people can help us decide), and I'll be featuring this lens there. As always, you've done a great job! Your lenses about this area are proving so helpful to me as I am planning a trip in this area next month. Blessings to you. What beautiful pictures! You did an excellent job with this lens. Next time I'm out west I hope to be able to visit Yellowstone. I've ALWAYS wanted to visit Yellowstone. Your lens is fantastic. Welcome to the Naturally Native Squids group. Don't forget to add your lens link to the appropriate plexo and vote for it. Beautiful lens and great pictures. I really enjoyed it and am lensrolling to my Christmas Tree in the White House. Yellowstone is unbelievable, but I haven't been in the winter. I'd love to do that someday, and take a trip to the Tetons during that time of year while I'm at it. Had to re-visit you since I came back from Wyoming. Yellowstone is indeed fabulous. I found it a bit surreal. I visited in May when it was still snowing, and steam was rising from the lakes and ground. It's just weird to see mud boiling! I'd love to visit Yellowstone someday! Great lens! Beautiful lens! I would love to see Yellowstone someday. Welcome to All Things Travel, and you get a Squid Angel Blessing too! Since we are planning a trip within the next month, this is awesome to see and help with details for the trip. Another great lens Kiwi! Yellowstone is gorgeous, and the entire park is the caldera of a huge volcano. Eeek. very nice! the beauty of the west is breath taking; as you know I worked at Grand Canyon last year and leave this week to work at Grand Tetons the next six months! Great lens. I love the photos! I gave you 5 Stars and a Squid Angel Blessing! A Gray Wolf sniffed out your lens and liked it so well that he is sending you a virtual heart shaped waffle. I have been to Yellowstone National Park many times and look forward to visiting again. If you go bring your camera and extra memory for it, you'll take lots of pictures! Thanks for adding this to your lens! I'm going to add your link as well. Good lens! I'm adding it to my featured lenses on my Volcanoes Lens. One tip: check the spelling on "Geothermal Feautres" up at the top -- it should be "features".